Fantastic product for healing cuts and abrasions, and relief for minor burns, sunburn, minor skin irritations, and bites of non-poisonous insects. 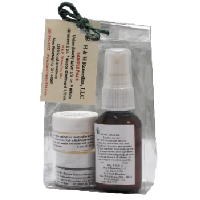 Sign up for H & H healing remedy samples using the link below. Available while supplies last.